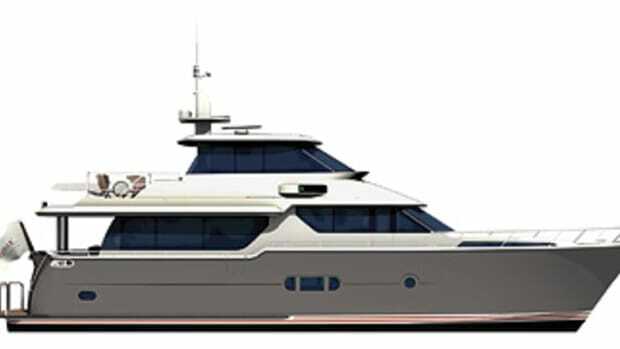 The fact that the Hatteras 56 is touted by the builder as an "entry-level product...priced at under $2 million" seems rather startling. But that shouldn&apos;t suggest she&apos;s wanting for features, quality, or performance. 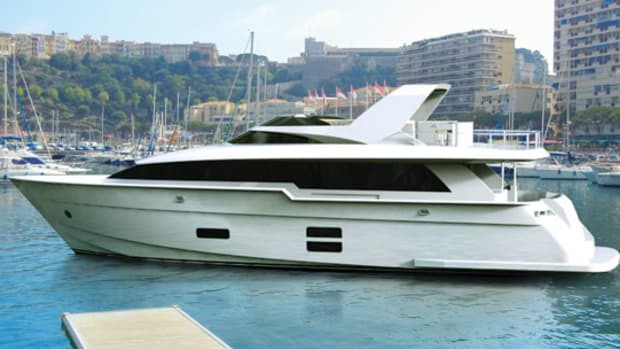 What&apos;s more, she offers a variety of innovative options that let each owner feel like the yacht is tailor-made. 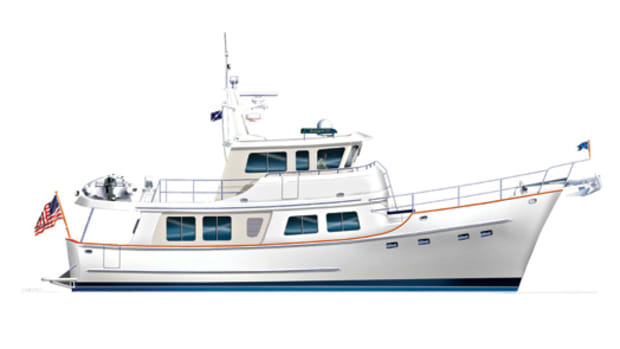 Amidships, the master stateroom takes full advantage of her 18-foot beam, offering a king-size centerline berth and an oversize head with twin sinks and the choice of either a shower or a full-size tub. There&apos;s also a spacious forepeak VIP stateroom with private access to a generously proportioned guest head. On the port side, a third stateroom with crisscrossed twin berths is standard, but it can be configured as a crew stateroom, with a single berth, hanging locker, sink, and shower. Private access replaces a port-side locker on the foredeck above. 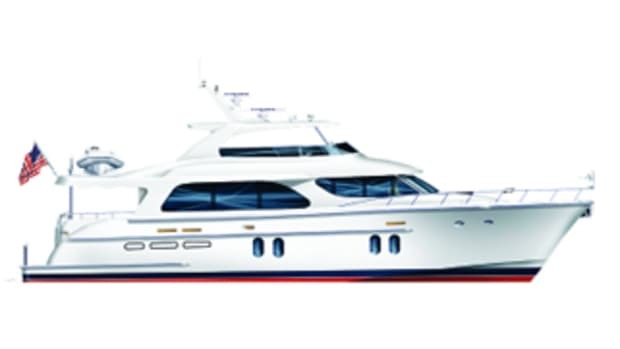 Her main deck sports an open floorplan that maximizes the sense of spaciousness. A circular dinette (seating six) in the country kitchen-style galley forward lets the chef enjoy the company of guests. Sliding-glass doors lead to a sprawling, 135-square-foot aft deck, with a circular settee flanked by steps to the swim platform. 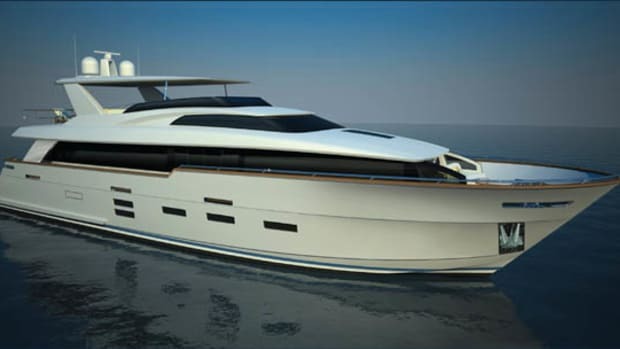 But as an option, the 56 offers a more contemporary arrangement that replaces the fiberglass aft bulkhead, using a stainless steel frame and tempered-glass panels to enclose the aft deck, making it seem even larger and offering more dramatic views. Even the flying bridge offers owners a choice. 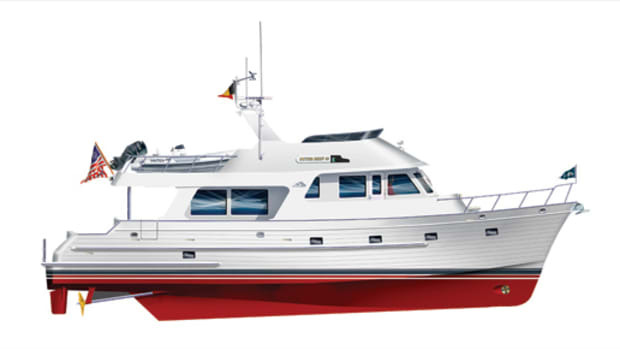 The standard layout features a centerline helm station with dual helm seats, a settee to port, and space for an optional dinghy and davit aft. For owners opting to stow their tender on the swim platform, the aft overhang offers an additional 208 square feet of entertaining space on the bridge, incorporating a sunlounge and a second L-shape seating area. 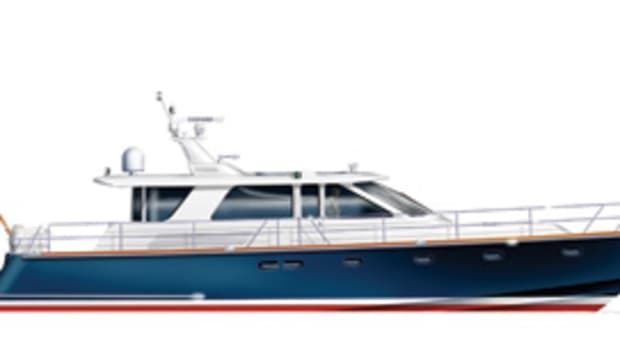 Like all Hatterases, she boasts deep propeller pockets to improve efficiency and reduce draft. 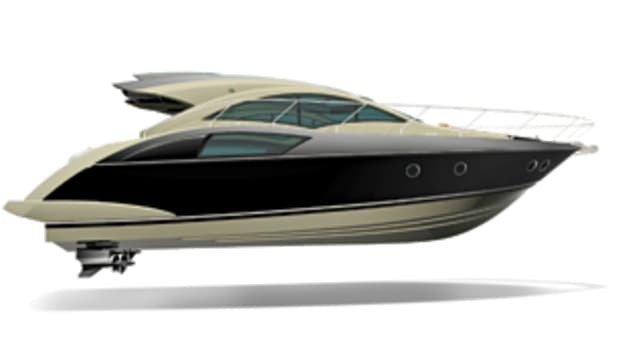 For more speed, available twin 1,000-hp Caterpillar C18s should deliver a 26-knot cruise and a 29-knot top speed. 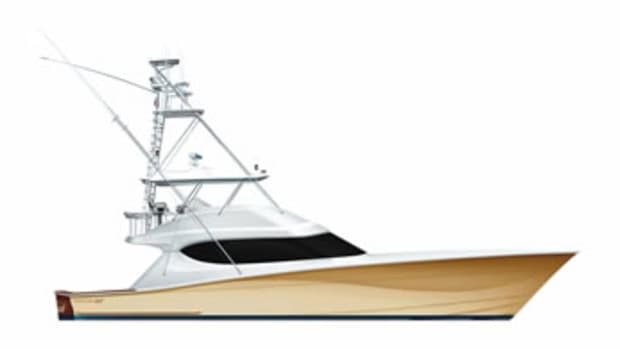 For more information on Hatteras, including contact information, click here.